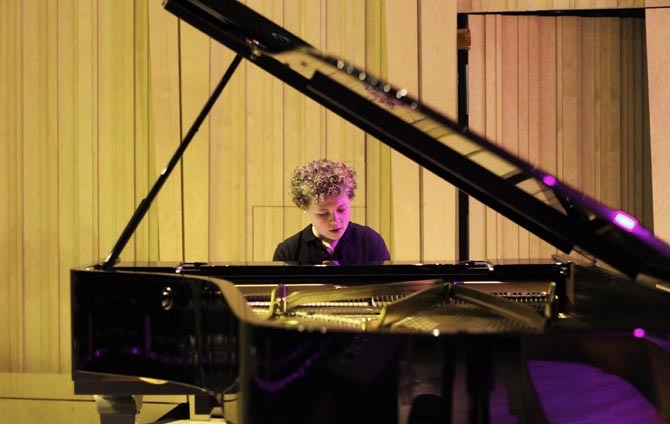 12-year-old Cardiff pianist and ABRSM scholar Dafydd Chapman has won Junior Conservatoire’s prestigious Concerto Competition 2015, performing one of the most challenging works for piano – the Concerto in E min by Chopin. Adjudicator Marcia Crayford (former leader of the London Symphony Orchestra and Junior Conservatoire Consultant) selected Dafydd’s “spine-tingling” performance from very tough competition. Dafydd will now perform the work with the College’s Junior Orchestra on Saturday 11th July in the College’s Dora Stouzker Hall.